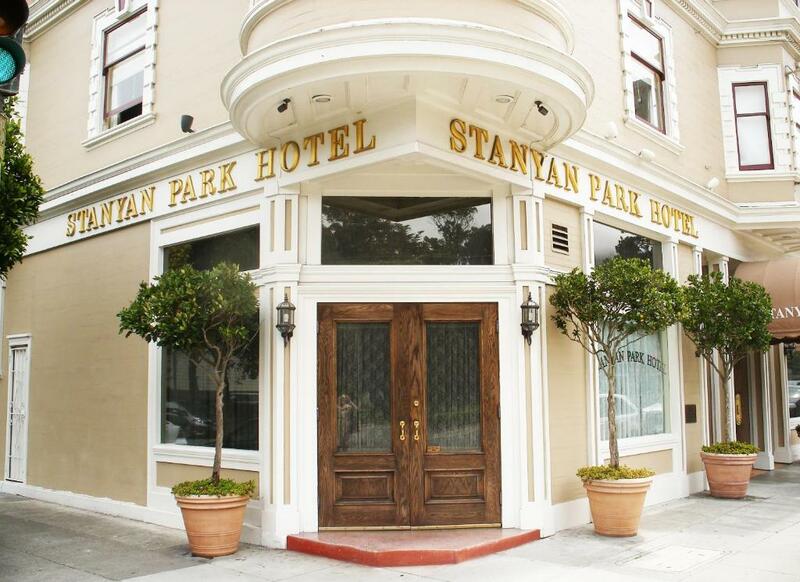 Lock in a great price for Stanyan Park Hotel – rated 8.2 by recent guests! Loved the location and value for the price. We enjoyed the breakfast and wine reception for the price. We enjoyed Golden Gate Park's Academy of Science nightlife within walking distance of the hotel. Staff was very friendly and knowledgeable. This is a cute, Victorian style hotel in a great location. The staff were very friendly and the breakfast was great. The room was small but clean. Very helpful and service minded staff, beautiful rooms and great breakfast. Nice area and wonderful to take a walk in the park after a long flight. Beautiful and very clean and comfortable. Breakfast was great. Location very convenient to parks and Haight-Ashbury. Afternoon tea and managers reception were a nice touch. Easy walk to Golden Gate Park. Stanyan Park is in an ideal location for our visits to family who live near by. It is adjacent to Golden Gate Park, and next to a good bike shop that rents excellent hybrid and mountain bikes vs. the Park concession clunkers. The Keiser Pub next door is a great place to watch soccer or have breakfast and a bloody mary. Stanyan is remodeling and communicated with us before, during, and after our stay as to what we could expect. 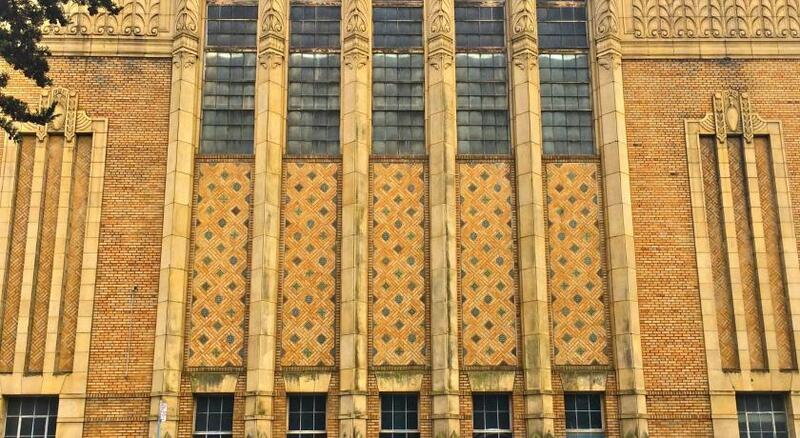 I'm excited to learn they are re-configuring to some king size bed rooms and upgrading. It should have a nice updated yet 'old elegance' feel when they are complete. The wine and cheese on week day afternoons is nice, daily afternoon coffee and tea, and a decent hotel breakfast all in a historic parlor. The wifi is consistent and fast enough. Plenty of hot water and good water pressure. We will definitely stay here again, as it meets our needs. It is close to the J train and walkable to much of the Haight area, so a car is not necessary. The service was good. The location was great. Offering breakfast, tea and wine was nice. Staff was wonderful. Location was great for our purposes. Stanyan Park Hotel This rating is a reflection of how the property compares to the industry standard when it comes to price, facilities and services available. It's based on a self-evaluation by the property. Use this rating to help choose your stay! One of our best sellers in San Francisco! Listed on the National Register of Historic Places, Stanyan Park Hotel offers Victorian-style rooms with free WiFi. It serves a daily expanded continental breakfast. Golden Gate Park is steps away. A flat-screen TV, ironing facilities and an private bathroom with free toiletries and a hairdryer and provided in each room at this completely nonsmoking hotel. Each suite includes kitchen facilities. A wine & cheese hour and evening tea service on weekday evenings is featured. A 24-hour reception greets guests of Stanyan Park Hotel. The property is handicapped accessible. 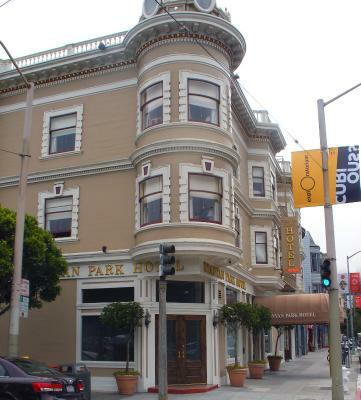 San Francisco’s lively Haight Street is just 1 minutes’ walk away from this hotel. San Francisco City Hall is 2.1 mi away and Union Square is 2.9 mi away. San Francisco International Airport is 11 mi away. 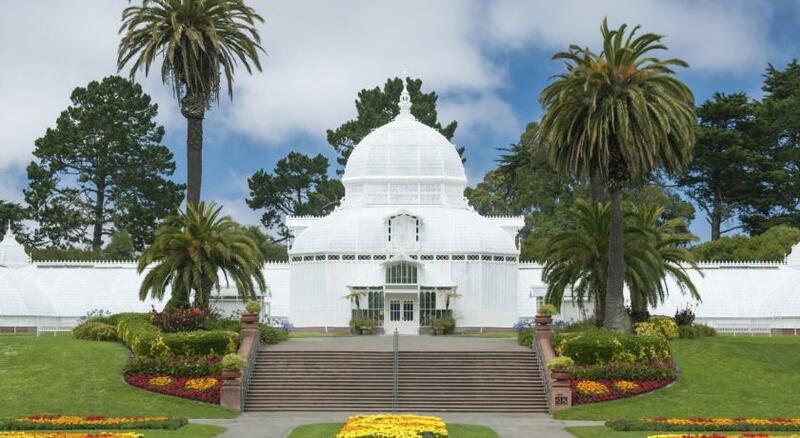 Haight-Ashbury is a great choice for travelers interested in parks, culture and culturally diverse food. When would you like to stay at Stanyan Park Hotel? Featuring free Wi-Fi, this room includes a flat-screen TV, ironing facilities and a private bathroom with free toiletries and a hairdryer. Featuring free Wi-Fi and a kitchen, this suite includes a flat-screen TV, ironing facilities and a private bathroom with free toiletries and a hairdryer. Hotel surroundings – This neighborhood is a great choice for travelers interested in parks, culture and culturally diverse food – Check location Great location - show map Guests loved walking around the neighborhood! House Rules Stanyan Park Hotel takes special requests – add in the next step! All children or adults are charged USD 10 per person per night when using existing beds. Stanyan Park Hotel accepts these cards and reserves the right to temporarily hold an amount prior to arrival. Please note: Only service animals are allowed on the property. Please inform Stanyan Park Hotel of your expected arrival time in advance. You can use the Special Requests box when booking, or contact the property directly using the contact details in your confirmation. Bedroom was small. A desk or comfy chair would have been nice but there was not enough room. The plug didn’t work in the bath so it was only possible to shower. Breakfast was basic. More choice e.g. fruit such as berries and melon would be good. Honey and marmalade options for toast would be good. Everything was basic but clean and comfortable. Late check in was no problem as the desk is manned 24 hours. Our room was quiet. Room on the front was noisy, but downloaded a sleeping fan app and it wasn't too bad. If you are a light sleeper, this may not be the place for you if you get a front room. I was out sight-seeing most of the day hours so cant comment on how traffic is then. Comfortable bed. Nice room. Breakfast was good! Convenient to whole foods and plenty of stores on Haight. The room was clean and bright but basic and pretty sparsely furnished. The just-ok bed was just a mattress and box spring on a frame--not even a headboard. There was no table or desk, so a lot of stuff just ended up on the floor. Parking to check in was quite a challenge. After one of us ran in to ask the reception staff where we could park, we wound up parking in the public lot down the street for $27/night. The staff was friendly and helpful, and the breakfast was really nice. The Breakfast was great! Matt on reception was super helpful and informative. Great location and well appointed. Of an era so interesting to stay here!